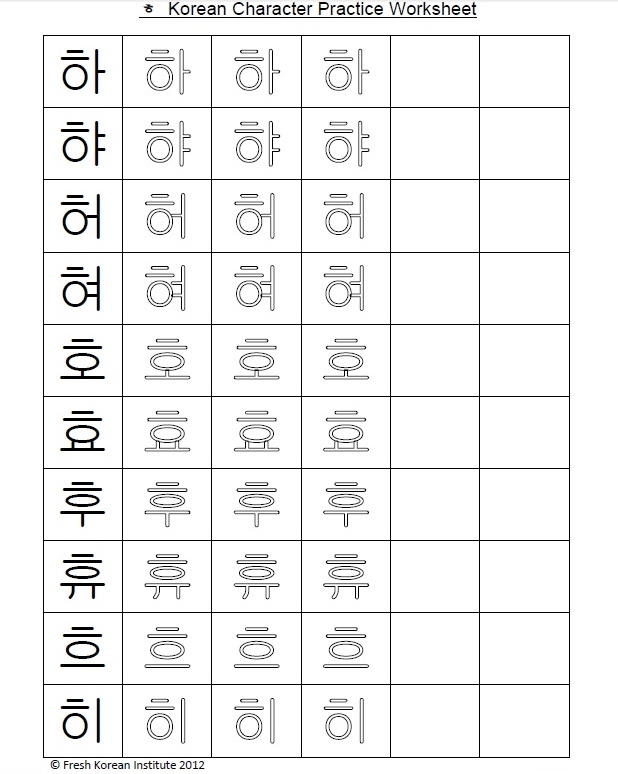 Please enjoy learning to write in Korean with this the fourteenth and final part of our practice Korean writing series. If you have missed any of the previous 13 parts please CLICK HERE to catch up. Thank you for using Fresh Korean to learn a little Korean today and please come back soon for more FREE learn Korean resources.